Den amerikanske »The Blues Foundation« har annonsert de nomnerte til Bluesprisene for 2008, som skal deles ut Tunica, Missiissippi 8.mai. Her er den omfattende pressemeldingen og nominerte-lista. Watermellon Slim (bildet) og hans band er blant de med flest nominasjoner. on May 8, 2008 at the Grand Casino Event Center in Tunica Resorts, Mississippi, just down the road from Memphis, the Awards’ home since their 1980 inception. Among those heading the list of the honorees is Mississippi favorite son Bobby Rush who garnered four nominations, including another historical first—nomination as Artist of the Year in both the Acoustic and Soul Blues categories. This singular achievement stems from the nominators’ recognition of the two personas exhibited in his 2007 public performances--some shows featuring his long-running soul revue while others found him alone with a guitar and a harmonica in support of his Acoustic Album of the Year nominee Raw. 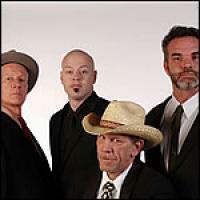 Watermelon Slim & the Workers returned in force, securing six nominations for the second consecutive year on the strength of their Album of Year candidate The Wheel Man. The “Queen of the Blues” Koko Taylor returns to form with four nominations, including one for her Album of the Year nominee Old School. The other artists with Album of the Year selections rode them to three nominations apiece, including On the Jimmy Reed Highway by Omar Kent Dykes & Jimmie Vaughan; Bettye LaVette’s The Scene of the Crime; Nick Moss & the Flip Tops’ Play It ‘Til Tomorrow; My Life, My Friends, My Music by Sugar Ray & the Bluetones; and James Blood Ulmer’s Bad Blood in the City. Lurrie Bell also was honored with three nominations, including one he shares with his late father Carey in the newly-created DVD category. Online voting begins December 13 for members. Voting, ticket and host hotel information can be found at The Blues Foundation’s website—www.blues.org. The Blues Music Awards are universally recognized as the highest honor given to Blues artists. The presenting sponsor will once again be The Gibson Foundation. In 2008, the State of Mississippi, the Tunica Convention and Visitors Bureau and the Grand Casino and Resort are also sponsoring the Blues Music Awards. The Blues Music Awards are also sponsored by BMI, Casey Family Programs, Eagle Rock Entertainment, FedEx, and the Sierra Nevada Brewing Company. The Blues Hall of Fame Induction Ceremony and Charter Members' Dinner will be held the night before on Wednesday, May 7 at the Tunica RiverPark museum situated on the banks of the Mississippi River. The 2008 inductees will be announced early next year.